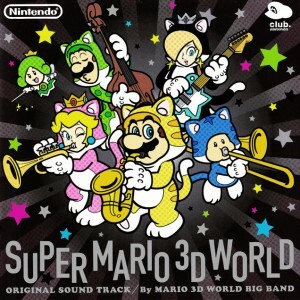 The Super Mario 3D World Original Soundtrack is a fresh take on the music that brings the Super Mario series to life. There are familiar sounds from the lifespan of the franchise as well as many new melodies that are indicative of what makes Mario so iconic, influential and so much fun. The catchy riffs and singable patterns make the game feel accessible and familiar. The instrumentation aids in the familiarity as there is piano, drums, horns and string instruments that are often heard in jazz, funk, rock and orchestral music. There is also synth and electronics that make the music sound more like a video game but they are not usually the focal point. Koji Kondo, composer of the original Mario soundtrack, helps set a familiar ‘Mario’ tone as well adding new sounds in “Chainlink Charge” and “Sunshine Seaside”. Kondo doesn’t work alone on this Mario soundtrack however. Composers from the Nintendo Sound Team work together to create wonderful music that will charm anyone with an open mind and open ears. Music by Mahito Yokota, Toru Minegishi and Yasukai Iwata as well as original tracks by Asuka Hayazaki, Takeshi Hama and Soyo Oka contribute to a wonderful collection of classic sounding Mario music. 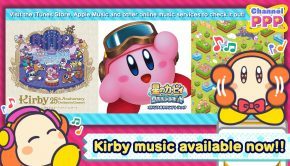 Nintendo fans, you might want to dust your Wii U off because this soundtrack will motivate you to replay some of your favorite levels and find all of those missing stars. One of the first things I noticed while listening is that the music sounded better than ever. Most of the instruments had an acoustic quality to them that was mixed well with the electronic sounds. The Super Mario World Big Band is an energetic group that captures the quirky and animated characteristics of the game. The instrumentation created a timbre that harkened back to the early years of Mario. Saxophone layered on top of accordion mixed with synth heard in “Super Bell Hill”, for example, has a classic video game sound while still sounding natural and modern. Much of the music on this soundtrack reminds me of classic video games from arcade games of the 80s to current game music. The combination of trumpet, bass and synth in “Super Block Land” and “Captain Toad Goes Forth” has a similar timbre to the music produced on the Super Nintendo console. The Super Mario World Big Band really shines during tracks like “Chain-Link Charge” and “The Great Tower” and especially the swingin’ “Credits Roll” at the end of Disc 1. The soundtrack is able to bounce between many moods because of the wide orchestration and mix of electronic and acoustic instruments. The acoustic instruments sound vibrant and each note can be heard clearly. “World 4” and “Sprawling Savanna” in particular caught my attention. The way the marimba is recorded allows you to hear the bars resonate so you are left wondering if it was recorded live. Regardless, those marimba keys make me think of dinosaur bones. The acoustic instruments bring a more animated feeling to the game and make the gameplay seem cinematic at times. 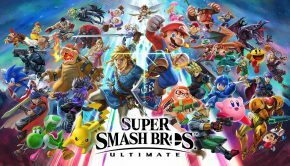 Part of what makes Mario games so appealing to a group of friends or a family is the fact that whether you are playing or watching, you can still enjoy the experience and take in the soundtrack. When one of the tracks becomes musically bombastic it sounds like you are sitting in the pit of an orchestra and getting to experience the game in the midst of all the action the orchestra is creating. Tracks such as “The Great Tower Show Down” are examples of the epic sounding orchestra that makes a boss battle seem cinematic to players and spectators. What brings much of the soundtrack to life is not only the mix and musicianship, but the presence of an independent bass line. Whether the bass is recorded live or programmed with a MIDI keyboard, a bass line is the glue that holds any kind of music together. The bass plays a huge role in making this soundtrack groove and pop. “World 1” and “Mount Must Dash” is a textbook example of a great bass line that accents the melody and adds a ton of funk into the mix. The drummer does an excellent job of keeping his bass drum locked tight on the bass line. The music pops because of this creating an exciting experience. “Bowser’s Highway Showdown” is an example of the edgier Mario music. The rhythm section is comprised of distorted guitar, electric bass, drumset while the melodies are played by a horn section and synth. The horns make the rock n’ roll rhythm section seem more sophisticated and even groovy. When the music wants you to slow down and explore, tracks like “Shifty Boo Mansion” and “Captain Toad Plays Peek-a-Boo” will guide you on your search. The music slows down in hopes that the player will slow down, as there is much to discover in the Boo mansions and Toad puzzles. There is a mysterious tone to this music with odd harmonies and counter melodies. The music is spooky sounding and gives me goosebumps when I listen at night. It is the perfect music for finding hidden stars in unsuspecting places. 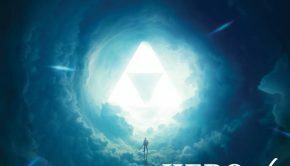 There is a huge nod towards Zelda on track 34 of disc 2. The track starts with the musical cue for opening a big treasure chest. A remixed version of “Hyrule Field” theme fades in which consists of synth sounds and a simple drum beat. 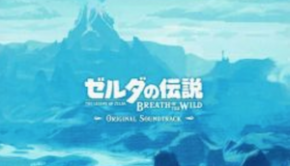 The minimalist take on this well-known piece confused me the first time I heard it, and I am still not sure exactly why Zelda music is heard in the game and on this soundtrack. It adds to the mystery of Nintendo and Koji Kondo, I suppose. “Champion Road” signaled to me that the soundtrack was coming to a close. The soaring melodies passed to each section of the ensemble seamlessly. The electronic percussion and bass added a video game sound that blended well with the acoustic sounding instruments. Inspiring and triumphant harmonies intensified emotion and the feeling of accomplishment that will fill gamer’s hearts with those warm fuzzy feelings. The close of disc 2 is the “Super Mario 3D World Theme”. I am not sure why the theme is at the conclusion of disc 2 and the end credits are at the end of disc 1, I would have preferred it to be just the opposite. The “Super Mario 3D World Theme” does add closure to the experience none-the-less. This track is fun and easy to listen to without it becoming repetitive. Mario is the essence of what a video game is and deserves a big sound. And in this soundtrack, that is exactly what it got. Sometimes I have multiple tunes from this collection stuck in my head. I have to pick which one to hum aloud at times. The music stayed with me long after enjoying the soundtrack which is part of what makes this is an excellent installment to the vast collection of Mario music. The addition of a big band was a cool idea and brought the action and fun of Mario into the current generation. The mix and mastering of the entire 2-disc soundtrack is definitive of how melodies, mid ranges, bass lines and percussion should be mixed for a game. The action packed and vibrant sounds in the music reflect the sharp, textured look of the graphics. 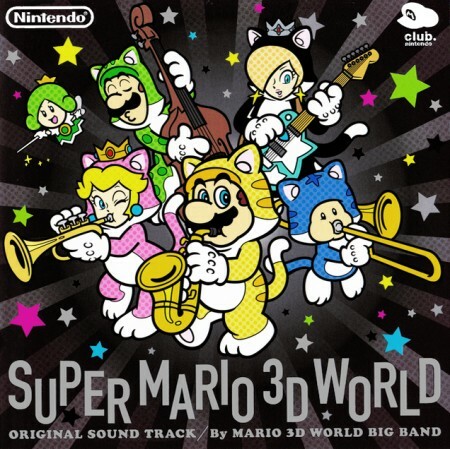 On a rainy day or when you are feeling down, or just any time you feel like, the Super Mario Brothers 3D World Soundtrack will be there to make you smile and enter a whimsical world where even the plumber gets to save the day. Posted on March 6, 2015 by Marc Chait. Last modified on March 11, 2015.